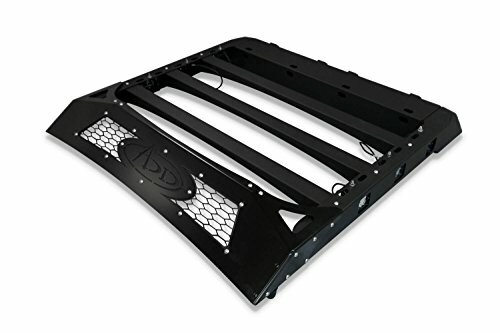 The HoneyBadger Chase Rack's modular design allows you to add what you want, where you need it, with three key components: base rack, tire carrier, and the roof rack. Mix and match modular components to build a chase rack for your truck's needs. With an optional tire carrier and roof rack add-on you can add as much utility as you want. If you have any questions about this product by Addictive Desert Designs, contact us by completing and submitting the form below. If you are looking for a specif part number, please include it with your message.